Its life 'Dim' but not as we know it! 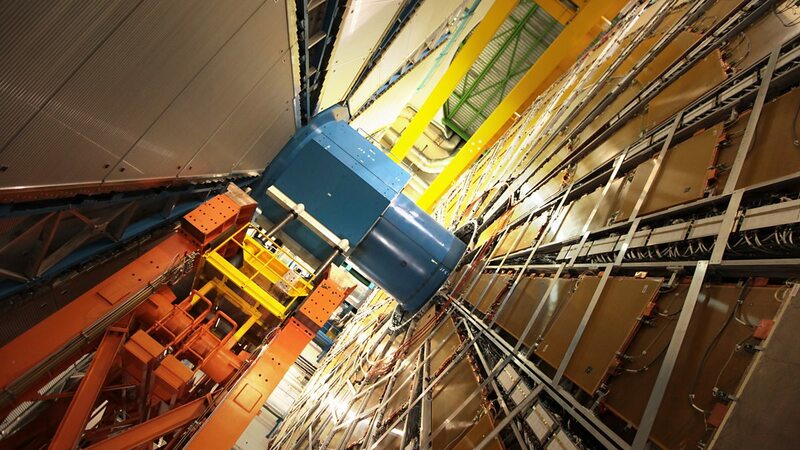 Horizon documents an extraordinary story in particle physics, following CERN's scientists as they hunt for the elusive signals that would prove if there is a new particle. Horizon follows the highs and lows of an extraordinary story in particle physics. It looks like Elon Musk might have a return investment for all of his efforts now. I can't imagine what it is to have a ticket on there, or what it takes to train yourself to be on that ship, and what skills qualify you to be on there. It's exciting news, but we haven't actually seen anything reported in the peer reviewed literature. News of the potential discovery slipped out into the press. We don't know how prelinary the results are, and they haven't been scrutinized by outside eyes. Keep in mind that it was only a couple of years ago that we heard of a planet in orbit around Alpha Centauri B, and now its existence is very much in question. Well the first word in the article is "Rumours"
I'm excited to see what the JWST can reveal about these smaller planets. His ROI will be the goal for all of his investments, a second planet that can be reached orders of magnitude easier than a planet in another star system. Yes, waiting now until the James Webb Space Telescope in 2018> sees this planet directly. By ROI I meant "something more than just money", something that's tangible and possibly revolutionary in his lifetime. That's exactly how I meant it too. Assuming SpaceX doesn't go belly up in the next 10 years while developing Mars rockets, then we may see his, and many others, dream come true in our lifetimes. A trip to another star system is out of the question for at least a century or more. Probably out of the equation for anyone currently alive. The tyranny of the rocket equation is too difficult to get around. We will either need some incredible new physics(something like the EM drive but actually works), or many many years to create a space based industrial capacity that is required to build the massive ships that will be required. On August 19, 2016, NASA astronauts Jeff Williams and Kate Rubins successfully added the adaptor to the forward end of the Harmony module. It will allow commercial crew vehicles to directly dock to the International Space Station. I'm waiting for warp drive Geek out on this video, an hour long, but I'm sure it could fuel some conversations. 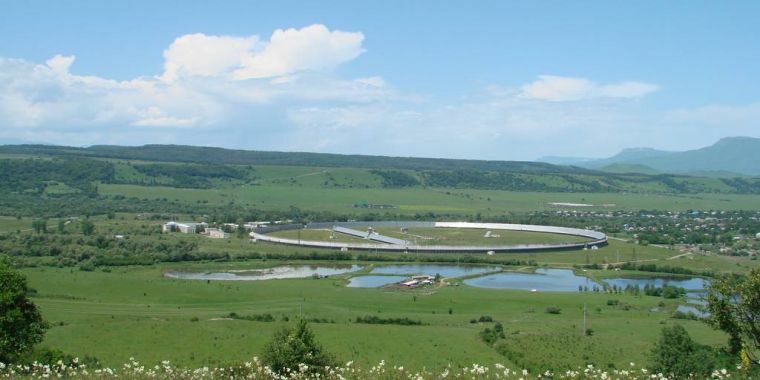 You may have heard how, when something is close to the speed of light, it contracts (for this observer). Well, it does contract, but the contraction is actually invisible. However, it appears to rotate. Even through it is actually contracting and not rotating - for the observer, that is, as for the something, it is actually the observer that contract (and appears to rotate). Proxima Centauri b is feeling a little more solid now. Let's see if it stands up to scrutiny! The star is located 95 light years from Earth and has at least one confirmed planet. 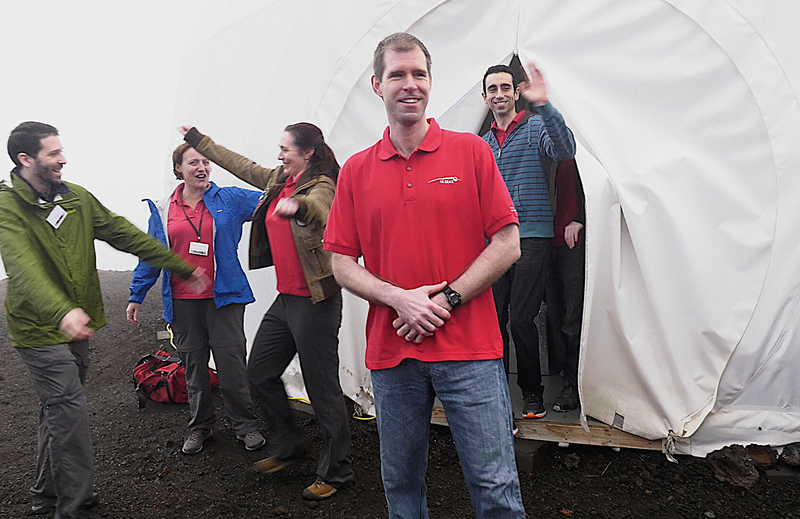 The six-person crew of the one-year HI-SEAS mock Mars mission emerges from a habitat on Mauna Loa in Hawaii on Aug. 28, 2016. It marked the fourth and longest expedition by the Hawaii Space Exploration Analog and Simulation. Pretty crappy photo I have to say. I assume better high def ones are to follow. 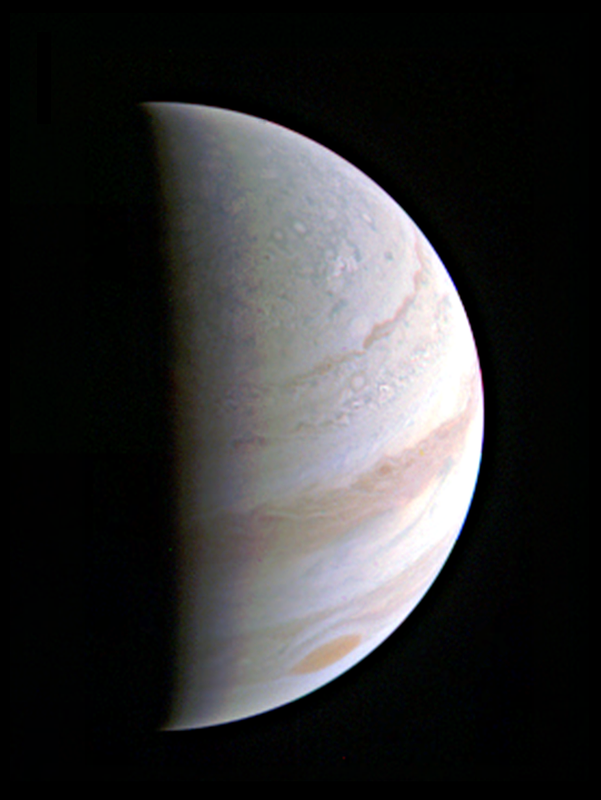 NASA's Juno spacecraft snapped this photo of Jupiter from a distance of 437,000 miles (703,000 kilometers) on Saturday (Aug. 27).